Are you one of the 15,000 newly minted teachers without a classroom this year? Or, are you due to graduate and wonder what opportunities, if any, await you after years of study? Perhaps you’re tired of the casual teaching grind, waiting to see where you’ll go next, the uncertainty and the inability to plan your future. This is the situation in many areas throughout Australia at present, most acutely felt in a capital city suburb near you. You know you are not alone, but rather than commiserate with your fellow colleagues, here’s something you may want to consider next time you meet. The current glut of teachers may be a blessing rather than the curse you may think it is. Sometimes all it takes is a change of perspective to see that opportunities abound. Whatever you may think of Teaching English to Speakers of Other Languages, TESOL, it’s booming. In Australia, the international education industry is growing at 13%. Last year, over 700,000 students arrived from more than 200 countries and contributed $20 billion to the Australian economy. Of that number, 115,000 students registered to study at an English language school, twice that number registered for university, many of whom previously studied English in Australia. These numbers are impressive on their own but when migrant Australian students studying English are taken into account, it only serves to prove the point, record numbers of English students are filling classrooms across Australia for education or work-related purposes. Who will teach them? As big as English language learning in Australia is now, it’s a drop in the bucket compared to the resources committed to it overseas. Governments across Asia have adopted English as an official second language, mandating it as part of the curriculum in all schools. Export based economies like Japan, Korea, China, and Thailand, view English proficiency as an essential skill in the global market. When their public school systems produce similar results to your Japanese teacher in high school, parents send their children along to English language intensive programs. Business people and corporate staff attend early morning and evening classes to improve English proficiency scores, for the purpose of speaking with clients, or simply to earn a raise in a job where they may never use English. When getting across town to attend lessons proves too hard, students are going online to learn conversational English via Skype with native speakers across the globe. Traditionally, overseas employers have been happy to have an English speaking westerner at the front of the classroom and their unwitting students have been too. Their only qualification being that of a native speaker. But with the stakes so high and the creeping nature of government accreditation and regulation being what it is, the industry is maturing at every level. First of all, having a degree of any description is required to obtain a work visa to teach in most countries now. Increasingly employers are looking for more than a broad BA. Over the past decade salaries for first time TESOL teachers have not moved far, as the cue of young westerners lining up for a “gap year” experience has only grown to meet the demand. On the other hand, applicants with teaching degrees are in a much stronger position when applying for high paying roles where more responsibility and skill is expected. University, team leader, international school, and assessment roles require methodology and skills acquired through the process of an education or teaching degree, and are paid accordingly. Free housing, airfares and insurance in additional to your salary, are commonly offered. How can you get started? It is strongly advisable that you do a short course in TESOL. 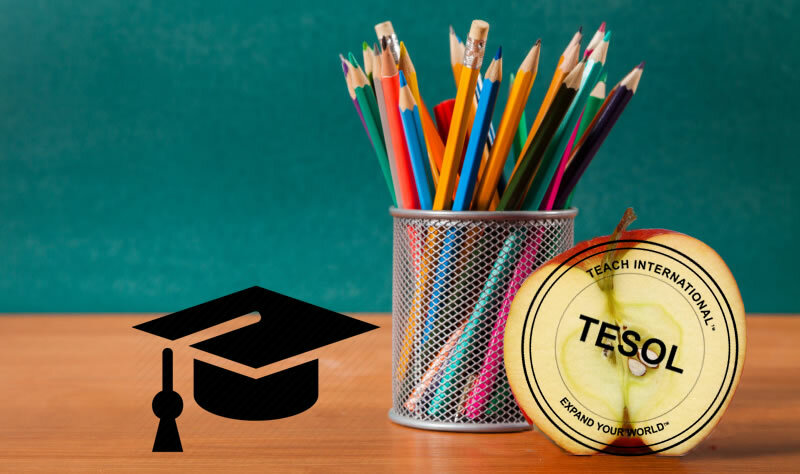 Like Early Childhood education, or Adult learning, TESOL has developed its own approaches and methodologies that you will want to know before you go. Start researching where you might want to go, while a second language is not required to teach English, it certainly helps for getting around, or going out with friends. Get in touch with us, we’re here to help and can offer advice on where to teach, salaries, and jobs going at the time. We can guarantee if you have a Bachelor of Education, your resume will go to the front of the line, somewhere exciting. I was just wondering what teaching opportunities currently exist in South America, particularly in those countries along the Pacific Coast such as Ecuador, Peru, Chile, and even Bolivia. I have a BA in modern languages with a major in Spanish. I completed the theory part of the cert 3 course with TEACH in Sydney in 2010 but never finished the practical. Would it still be possible to just do the practical part or would I need to do the whole course again? Hi Stuart I think the best path is for you to investigate those areas directly to find schools that are currently looking for ESL Teachers. Like all jobs, they come and go, but yes there are opportunities there subject to obtaining a visa. We are currently completing a Country Quick Facts guide and will post that up within the next couple of weeks. In terms of your Cert III this course has now been superseded by the AQF so unfortunately we can no longer issue a testamur for that qualification. Subject to the Visa requirements where you plan on teaching, you may get away with a Certificate in TESOL 120 hour course. http://www.englishinternational.edu.au/certificate-in-tesol alternatively you can consider the Cert IV In TESOL, and using your teaching experience overseas as your work practice. Contact Matt on matt@teachinternational.edu./au if you would like to discuss further. Yes … in Australia depending on where you wanted to teach you may also be required to hold a teaching qualification eg; Universities and some colleges, but tutoring is a great option. Native speakers are always preferred regardless of which country you are teaching in… but that does not mean that non-native speakers are not accepted. Pronunciation is important so I would suggest that if you are not a native speaker, then this is something that you should work on.